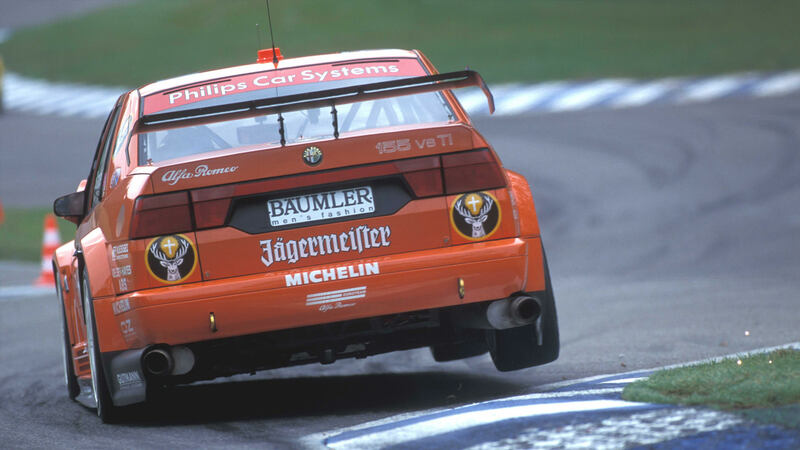 There was a Jägermeister Alfa-Romeo in the DTM in 1994, 1995 and 1996, driven by Michael Bartels on each occasion. The 1994 car was used by the Schübel team – with works support. 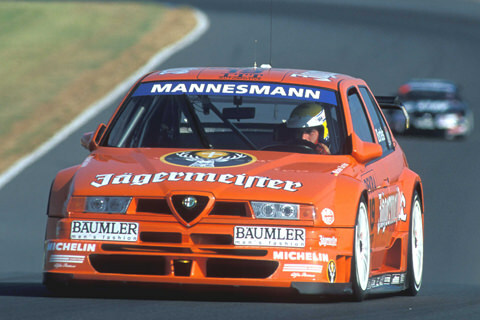 Then, in 1995 and 1996, Jägermeister’s Alfa was a pure works car, looked after by Italian crews in each year (by the Euro team and by the JAS team respectively). The Alfa Romeo 155 had a 2.5 litre six-cylinder engine delivering around 500 hp. 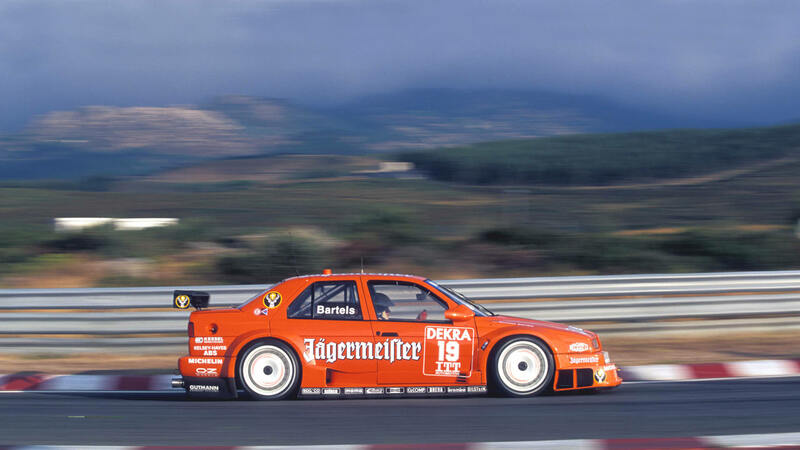 Engine speed was limited to 12,000 rpm for all the competitors in the DTM at that time. The Alfas had a top speed of 300 km/h (with the highest gear ratio).